Ing. 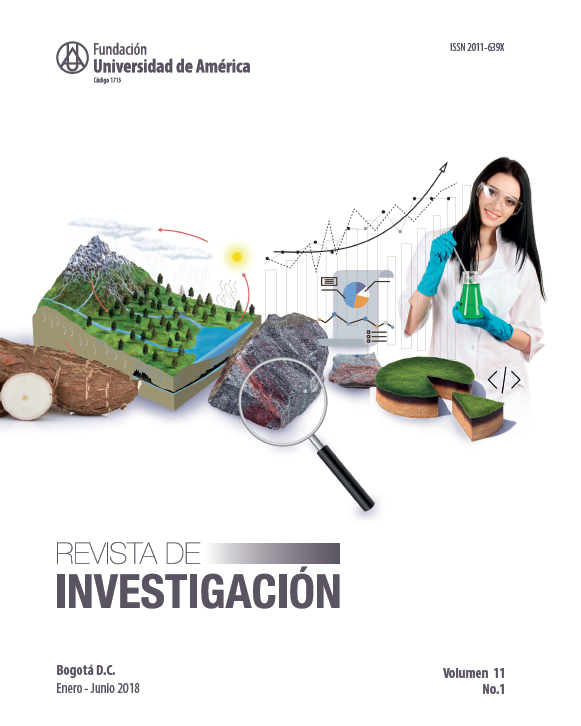 geólogo, magíster en Ciencias Geológicas, doctor en Ciencias Geológicas. Consultor en Geología para la industria minera y petrolera. Profesor titular Facultad de Ingeniería de Petróleo, Departamento de Investigaciones, Fundación Universidad de América, Bogotá, Colombia. Bally, A. (1983a). Seismic expression of structural styles: a picture and work atlas. Volume 1-The Layered Earth (AAPG Studies in Geology n.o15). Tulsa, EE. UU. : American Association of Petroleum Geologists. Bally, A. (1983b). Seismic expression of structural styles: a picture and work atlas. Volume 2-Tectonics of Extensional Province (AAPG Studies in Geology n.o15). Tulsa, EE. UU. : American Association of Petroleum Geologists. Bally, A. (1983c). Seismic expression of structural styles: a picture and work atlas. Volume 3-Tectonics of Compressional Provinces (AAPG Studies in Geology n.o15). Tulsa, EE. UU. : American Association of Petroleum Geologists. Brown, A. (1999). Interpretation of three-dimensional seismic (5a ed., Memoir 42, Investigations in Geophysics n.o9). Tulsa, EE. UU. : American Association of Petroleum Geologists and Society of Exploration Geophysicists. Colombera, L., Felletti, F., Mountney, N., y McCaffrey, D. (2012). A database approach for constraining stochastic simulations of the sedimentary heterogeneity of fluvial reservoirs. American Association of Petroleum Geologists, 96(11), 2143-2166. Colombera, L, Mountney, N., y McCaffrey, D. (2012). A relational database for the digitization of fluvial architecture: concepts and example applications. Petroleum Geoscience, 18(1), 129-140. Emery, D. y Myers, K. (Ed.). (1997). Sequence Stratigraphy. Oxford: Blackwell Science. García, D., dos Santos, E., y Penteado, H. (2015) Controls on petroleum composition in the Llanos basin, Colombia: Implications for exploration. American Association of Petroleum Geologists Bulletin, 99(8), 1503-1535. Gressly, A. (1838). Observations géologiques sur le Jura soulerois (nouveau mémorie 2). Basel, Suiza: Société Helvétique des Sciences Naturelles. Krumbein, W., y Sloss, L. (1969) Estratigrafía y Sedimentación (1a ed. ), Buenos Aires: UTEHA. Lunt, I., Sambrook, G., Best, J., Ashworth, P., Lane, S., y Simpson, C. (2013) Deposits of the sandy braided South Saskatchewan River: Implications for the use of modern analogs in reconstructing channel dimensions in reservoir characterization. American Association of Petroleum Geologists Bulletin, 97(4), 553-576. Magoon, L., y Dow, W. (1994). The petroleum system. En L. Magoon y W. Dow (ed. ), The petroleum system- from source to trap (pp. 3-24). EE. UU. : American Association of Petroleum Geologists. NACSN. (2005). North American stratigraphic code. American Association of Petroleum Geologists, 89(11), 1547-1591. Neuendorf,K.,Mehl,J.,yJackson,J.(eds.). (2005).GlossaryofGeology(5a ed.).Alexandria,EE.UU. : American Geological Institute. Reesenk, A., y Bridge, J. (2011). Evidence of bedform superimposition and flow unsteadiness in unit-bar deposits, South Saskatchewan river, Canada. Journal of Sedimentary Research, 81(11), 814-840. Rodríguez, J. (2011) Seismic Applications. En Guidelines for Application of the Petroleum Resources Management System (pp. 23-34). EE. UU. : SPE, AAPG, WPC, SPEE, SEG. Salvador, A. (ed.). (1994) International stratigraphic guide. Boulder, EE. UU. : International Subcommission on Stratigraphic Classification of IUGS International Commission on Stratigraphy, IUGS y GSA. Salvador, A. (ed.). (2001). International stratigraphic guide. Boulder, EE. UU. : International Subcommission on Stratigraphic Classification of IUGS International Commission on Stratigraphy, IUGS y GSA. Sanchez, N., Mora, A., Parra, M., Garcia, D., Cortes, M., Shanahan, T., Ramirez, R., Llamosa, O., y Guzman, M. (2015). Petroleum System modelling in the Eastern Cordillera of Colombia using geochemistry and timing of thrusting and deformation. American Association of Petroleum Geologists Bulletin, 99(8): 1537-1556. Vail, P., Mitchum, R., y Sangree, J. (1977-1982). Part four: global cycles of relative changes of sea level. En C. Payton (eds. ), Seismic stratigraphy-applications to hydrocarbon exploration (memoir 26, 1-5 ed., pp. 83-98). Tulsa, EE. UU: American Association of Petroleum Geologists. Wheeler, H. (1958) Time-stratigraphy. American Association of Petroleum Geologists Bulletin, 42(5), 1047-1063. Wheeler, H., y Beesley, E. (1948). Critique of the time-stratigraphic concept. Geological Society of America Bulletin, 59(1), 75-86.